In this guide you will find out exactly what person-centred care is, how different organisations define it, the values and principles it follows, real life examples and much more. This approach is gaining more popularity as it grows and develops and is a useful term to become familiar with. It keeps the patient at the centre of care and has many core principles that are beneficial for rehabilitation and recovery. What is a person-centred approach? 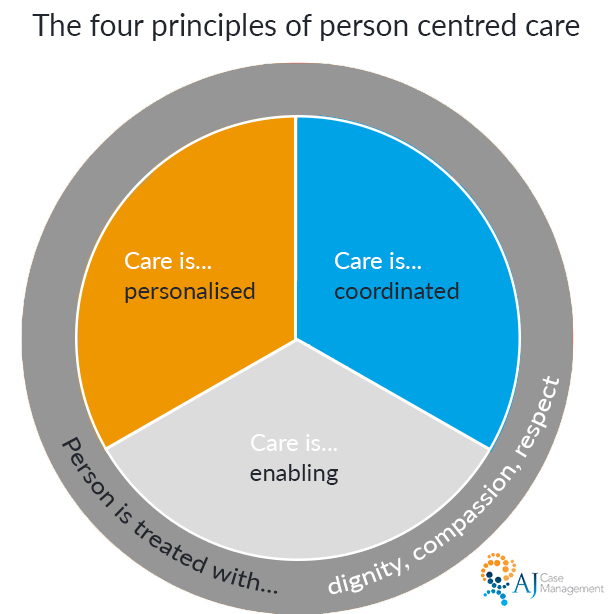 Person centred care is a concept that affects the thought process and the way everyday responsibilities are performed by medical staff and carers. 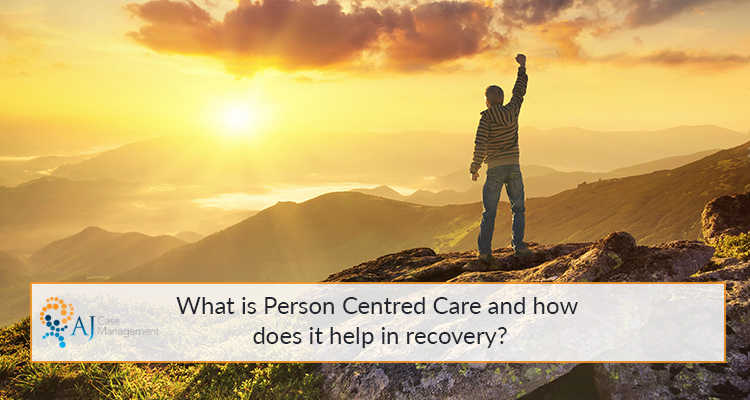 It is completely centred around the person who is receiving care. The term is constantly changing and developing as the needs of patients continue to evolve. This concept works by combining the professional knowledge of carers/medical staff with the personal knowledge of the patients own body, values, feelings and capabilities. This is designed to create a care plan that is tailored to each individual and is delivered in a way that they feel completely comfortable with, as this can often be a big issue when delivering treatment. If you aren’t familiar with this term, you may have heard of patient-centred, family-centred, relationship-centred or client-centred care. They all follow the same pattern of focusing on the needs of the person/people receiving aid. Although different organisations may write their principles in slightly different ways, they all share the same values. It is important to get to know the patient as a person and recognise their unique qualities. They have their own personal values, beliefs, boundaries and perspectives. It is vital to not only understand these aspects of the person but to also respect them and incorporate them into the care plan. This involves communicating with the patient in a respectful way, listening to what they have to say and taking on board their input. It also means maintaining their dignity and avoiding embarrassment or shaming. To create a successful long-term care plan it is important to know the patient’s life experience, their present state and their goals for the future. This will help you gain a deeper understanding of the individual and allow you to further tailor the care. As with any other method of care, confidentiality must be maintained where appropriate. Not only for the patient’s well-being, but to also build trust and create a productive relationship. This principle may be approached by establishing with the individual what information they want to be shared with the friends, family or other professionals. A person-centred care approach helps the patient to perform as many everyday activities by themselves as they can. This is important for encouraging the development of the patient’s skills and creating more confidence in the journey to recovery. Although in this approach the persons boundaries must be recognised and not pushed too far. To make recovery as smooth and productive as possible all medical staff should be coordinating the treatment being given to the individual. This is especially relevant for those receiving many different types of care, as an unorganised plan can cause confusion, stress, anxiety or a set back in recovery. They will feel more motivated when following a plan that they have input in and is tailored to their specific needs. It helps them work towards their goals and reach important milestones. Not only will their medical needs be met, but also their emotional, personal and social needs. It encourages independence and gives the patient more responsibility, which can be another motivating factor. They will feel more comfortable and positive about the service they are receiving, which creates a much better environment for both the individual and professional. The quality of care is improved which may speed up recovery. A more positive and happier environment is created when the treatment is focused on the personal needs of the patient. Patients are likelier to be more invested and consistent with their care plans, medication and treatment when their needs are being addressed. It can improve the individuals long term interest in their health if they are involved in decision making of the recovery process, which is hugely beneficial if they return home and have more responsibility over their health. All these benefits create more cost and time efficient services as care quality is improved and patients are more co-operative with their personalised plans. A person-centred approach is more of a vague term that isn’t exclusive to care. It is an approach that can be used for many different sectors such as education, law, schools, universities, mental health facilities, care homes and many more establishments. It follows the same values and principles as person-centred care, but simply follows different paths depending on the context it is in. Focus is put on the abilities and skills of the individual rather than the labels, statistics and diagnosis. As with any care giving method, person centred care requires a lot of planning and thorough risk analysis. However, this approach may take a little more communication as it requires a lot of input from the patient. This doesn’t mean they completely determine the course of action or have the final say, but their contribution should have an impact on the planning. Throughout the planning stage the patient’s opinions and input should be listened to and respected. The professional should try their best to incorporate their suggestions and work towards a plan that is efficient for everyone. Being person-centred also places a lot of importance on using the appropriate communication methods. Not all patients will feel comfortable giving their opinions and input or may feel out of their depth when discussing what’s best for recovery. Another factor to consider is that the patient may have physical or mental injuries that require other methods of communication. When following a person-centred care plan, it is vital to seek out the best method by discussing with the individual, their support system and other professionals that they are working with. There are many ways this approach can be intertwined with everyday life for a patient or carer. Whether they make a small difference or a big one, there are many different routes you can take to this method of care. Being given a choice at meal time as to what food they would like. Deciding together what the patient is going to wear that day, taking into account practicality and their preferences. Altering the patients bed time and wake up time depending on when they feel most productive. Finding a way to give the patient treatment in their own home if this is where they feel most comfortable. Providing tools and devices so that the patient can perform everyday tasks on their own, such as a seat in the shower or an extending device that aids in putting shoes on. This approach is on the rise as it incorporates a lot of positivity and motivation into care giving. At AJ Case Management we place a lot of importance on setting goals and helping those we work with reach important milestones. We are proud to incorporate this approach into our work to create happy relationships, independence and a positive recovery.